"Before any European ever saw this place, before the first explorers and missionaries set foot on this ground, there was beside the ocean a stretch of wetland, a narrow strip of dune tucked in between the river and the sea. 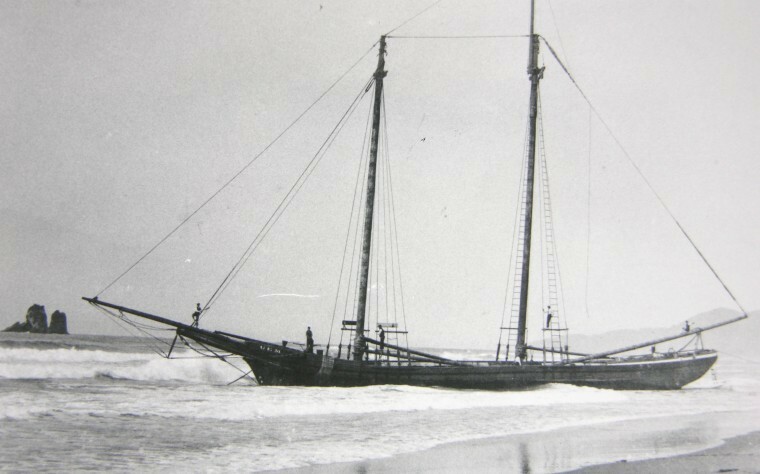 The Miami River, which now flows into Tillamook Bay, followed a more northerly course which brought it to the sea near Barview. Later, through geologic events, the river's course changed, leaving behind a narrow fresh-water lake which hugged the dunes and isolated the land between it and the ocean. This lake, later to be named Smith Lake in honor of Captain Lloyd C. Smith, soon became home to many forms of animal and plant life, and part of the home to human beings as well." "The initial discovery of the Barview site and its subsequent purchase by the Methodists might have remained the dream of a few dedicated persons had it not been for the leadership of many people. The work of Dr. J. Edgar Purdy, Superintendent of the Salem District of the Oregon Conference from June, 1939 until his death in April, 1945, was significant. Dr. Purdy was the lone voice of support with in the cabinet during those critical first years. He was also a keeper of scrapbooks. Many of the records of the early days of the camp were preserved in the files of Dr. Purdy." "Another early supporter of the site was Frank M. Phelps, a lay member of the Sunnyside Methodist Church in Portland, and an attorney. 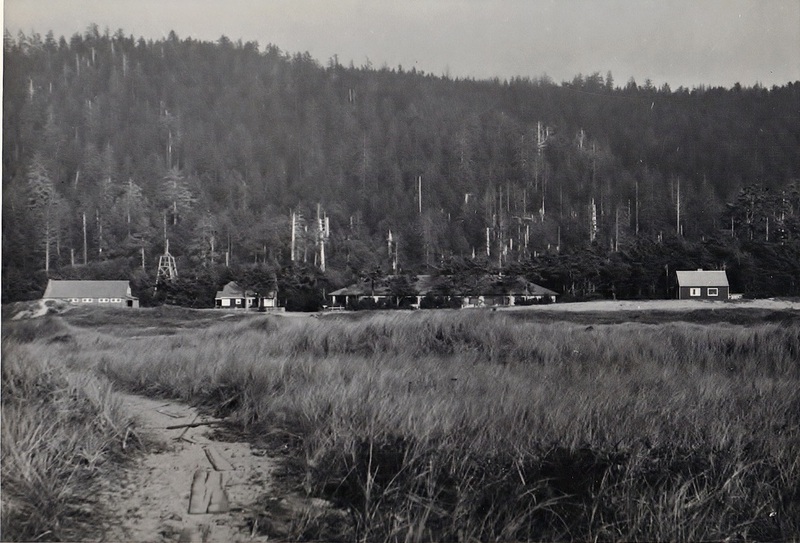 Much of the legal work which went into the process of creating Camp Magruder was done by Phelps who maintained a life long interest in the camp's development. Phelps was one of the first members of what was to become the Barview Site Committee. He was also instrumental in obtaining funds for the boat house which bears his name." "However, of all those who brought the dream of an Epworth League Institute and Methodist youth camp to life, it was Frank Magruder who's name was to eventually become identified with the results. Dr. Frank Abbott Magruder was a native of Virginia, educated at Princeton, and a professor of political science and international relations at Oregon State College (now OSU) in Corvallis. His avocation was writing high school textbooks, and in this endeavor he was very successful. He chose to live on his teaching salary and used the considerable royalties from his books to support church work and other charity causes. His interest in youth related work was considerable." "Dr. Magruder was one of the twenty-five men brought out to the Barview by Rev. Jesse Bunch in 1937. 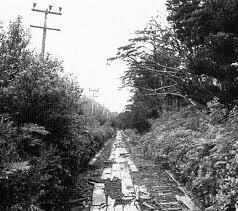 According to Bunch, Magruder was slow to be won over to the site. Yet, once convinced of the need for action, Magruder took it upon himself to become involved. Magruder, in a report to the 1942 Annual Conference session, presented a resolution to offer to the owners of the Barview site the sum of $6,000 for purchase of the property. His motion was adopted and soon thereafter, the Jackson family (long time owners of the property) accepted, and the Barview site came into Methodist hands on March 19, 1943." 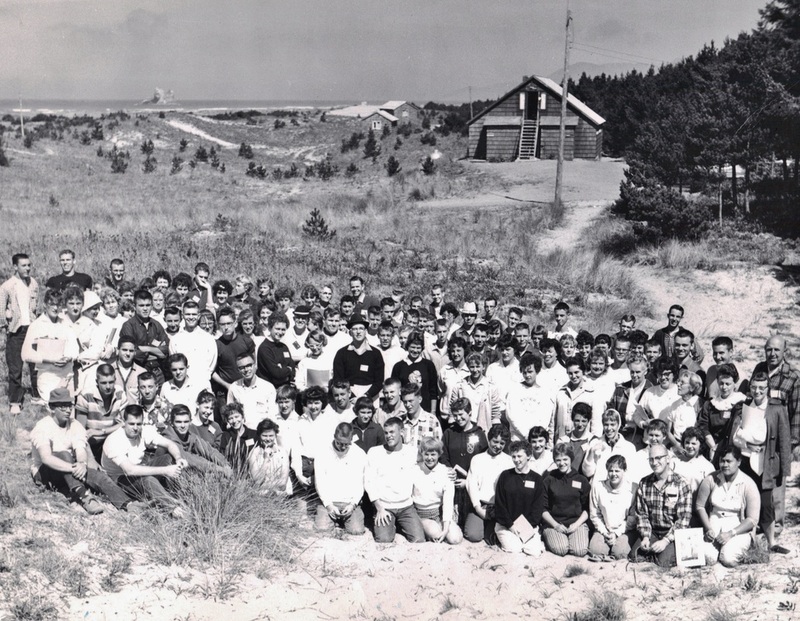 "In the summer of 1945, the first "official" Methodist Youth Institutes were held on Methodist property on the Oregon coast. The dream of so many had become a reality at last. 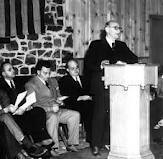 Two years later, on July 4, 1947, in an official dedication service, the Barview site was officially named Camp Magruder. 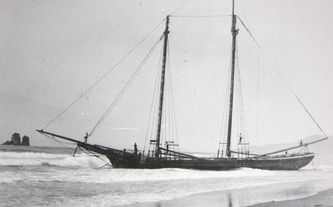 Below: The Gem, after running aground in 1904, near present day Camp Magrude;, The Old Pacific Highway; a Meeting in Carrier Lodge.